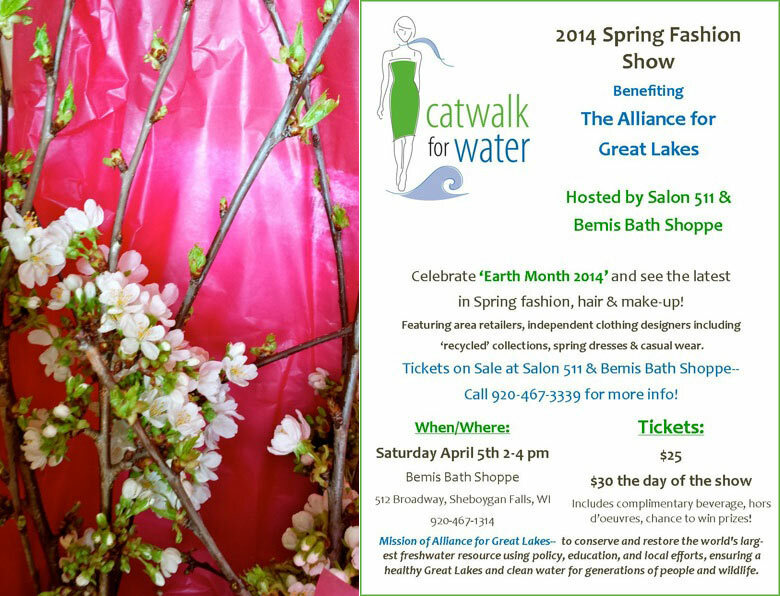 Expecting my floral delivery today for the Catwalk to Water Fashion Show this Saturday. It will be so nice to see some fresh new spring fashion styles. Hope the sun shines warmly Saturday. I know this will be a huge success, as it was last year when it was sold out. My daughter, Madeline is coming home from UW-Eau Claire to be one of the models. This will be a great event for her to be in to help relieve the stress of college studying. She loves fashion and is very excited to model. Had to stop to accept my delivery, using white blue and green color palate. I have a new design to share for the show. Can not wait to start working on it! It feels like Christmas every time I open the flower boxes! Just to give you a taste of spring on this gloomy day…..I will be using these branches below. Anybody have a guess on what it is?